Plastic body armor material will protect your Jeep against light scrapes. Plastic is the ideal choice if you want a light material and do not want to drill. Steel Jeep body armor is the strongest material, is easily repaired, and is cheaper than aluminum. However, steel is heavier than aluminum and plastic, which means the weight adds up quickly. Wrangler aluminum body armor provides protection without adding massive amounts of weight. Aluminum has a superior strength-to-weight ratio than steel, which offers excellent protection with a significant spike in weight.. However, aluminum does cost more than steel and may be easier to damage. Continue reading to learn more about some of the most popular types of body armor offered at Palmer Custom Jeeps by SORS in Roswell. If you ask any serious Jeep expert, they will tell you the best bumper for rock crawling and extreme use are barely visible. This is because bumpers with edges that angle upward at the undersides and corners will reduce the likelihood of trouble. Less mass and smaller size in these areas will provide superior clearance at extreme angles. It will also ensure your bumper doesn’t become damaged, drag, or scrape. Palmer Custom Jeeps by SORS offers a vast array of heavy-duty off-road bumpers. We offer an expansive list of bumpers crafted from all materials. The bumper you choose should be based on your needs and how you plan to use your Jeep. Protect your Jeep from trees, rocks, and other off-road hazards with rocker panels. Our rocker panels are also an excellent way to hide holes in the side of your Jeep. Jeep Wrangler corner covers are ideal if you actively ride trails. This body armor will protect the rear corners of your vehicle from scratches while you’re off-roading. The front of your Jeep Wrangler is highly susceptible to get scratches and nicks due to stones being tossed from the tires. Our innovative grill inserts and grill cover body armor can help prevent this from happening. Most importantly, grill inserts from Palmer Custom Jeeps by SOR are a unique way to protect your radiator fins from being damaged. If your radiator fins are damaged, it can cause a leak and reduce your engine’s ability to properly regulate its temperature. While Wranglers are highly durable, most TJ and YJ owners know the front fenders are highly susceptible to rust. Whether you want to cover up a hole or add an extra layer of rust protection, our fenders are the ideal solution. Fenders from Palmer Custom Jeeps by SORS in Roswell is also a great way to prevent chips and scratches. We also offer flat fenders, which are alternatives to adding body armor. Flat fenders will provide more clearance for your tires and remove rusty metal from your vehicle. 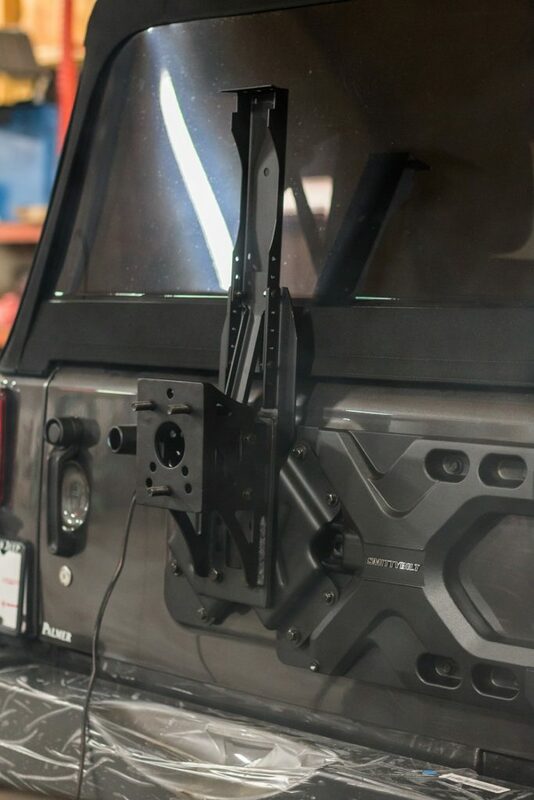 Go farther, do more, and ensure your Jeep remains unscathed for the journey with bumper and body armor from Palmer Custom Jeeps. In addition to the previously mentioned bumper & body armor, we offer protective pieces for every part of your Wrangler. Contact Palmer Custom Jeeps by SORS today to learn more about protecting your Jeep.